Previous Previous Post Next Find happiness. Enquire within. Uhmm, the horse-foal-robber-story in question is a bit sad; I started to type it up this morning, but couldn’t stop crying, so I gave up on that one. It’s on p406, Joyful Path of Good Fortune, by Geshe Kelsang BTW, in the section on compassion. 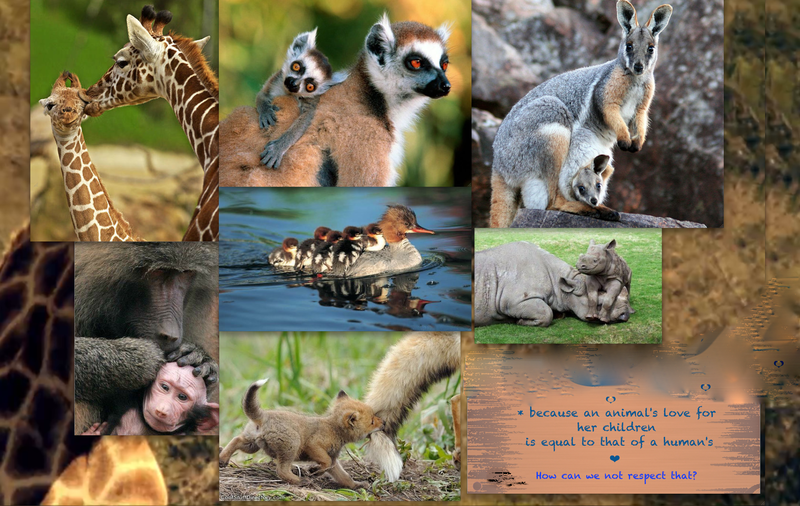 Sweet and loving images of animals with their babies, conveying a mothers strong protective love. The mother / child bond is sacred, isn’t it.